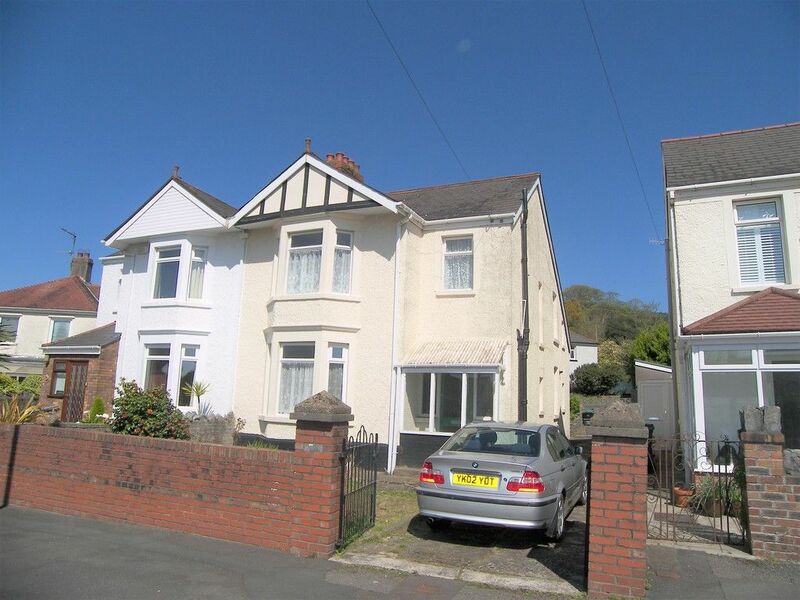 We are pleased to offer a 3 bedroom semi detached property situated in the semi rural village of Glynneath. Briefly consisting of entrance hallway, 2 reception rooms, kitchen, utility room (currently used as a play room), 3 bedrooms, bathroom and enclosed rear garden. The property has been tastefully renovated and decorated and early viewing is recommended so its size, style and location can be fully appreciated. ENTRANCE HALL Entrance via Upvc front door into welcome porch area with fitted carpet, leading into main hallway with fitted carpet, radiator, stairway to first floor and access to living areas. LIVING ROOM 11&apos; 10" x 9&apos; 1" (3.61m x 2.77m) Laminate flooring, radiator, double glazed window to front. LOUNGE 12&apos; 4" x 10&apos; 4" (3.76m x 3.15m) Laminate flooring, radiator, French doors to rear garden. KITCHEN 16&apos; 3" x 9&apos; 7" (4.95m x 2.92m) Laminate flooring, fitted wall and base units with integrated oven and hob, tiled splash back, wall cupboard houses combination boiler, under stairs storage cupboard, radiator, double glazed window and Upvc door to rear. Laminate flooring under play mats, double glazed windows to side and rear, Upvc door to rear. BEDROOM 16&apos; 9" x 9&apos; 4" (5.11m x 2.84m) Fitted carpet, radiator, 2 x double glazed windows to front. BEDROOM 11&apos; 3" x 10&apos; 9" (3.43m x 3.28m) Fitted carpet, radiator, double glazed window to rear. BEDROOM 11&apos; 0" x 6&apos; 0" (3.35m x 1.83m) Fitted carpet, radiator, double glazed window to side. BATHROOM Laminate flooring, W.C, hand basin with under vanity unit and surrounding wall cupboards, bath with tiled splash back, radiator, double glazed window to rear. EXTERNALLY Front - Gated frontage with pathway to front door and leading down side of property to rear. Rear - Area laid to chippings leading on to hard standing for off road parking. PN the gate access for the parking has been closed off with a fence but could easily be put back.